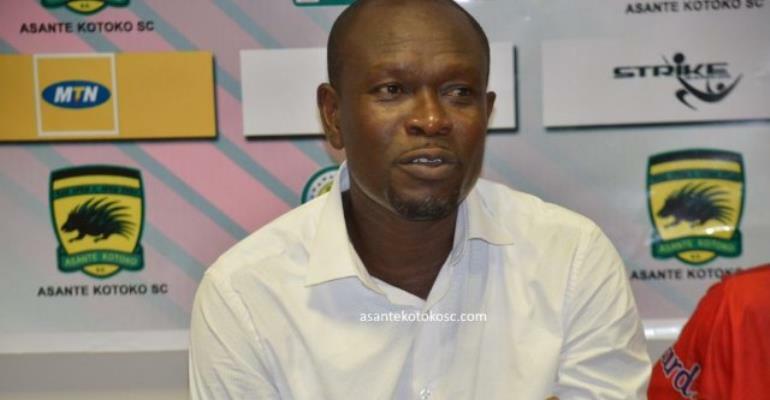 Charles Kwablan Akonnor has refused to blame the lack of football activities in the country after his side were crashed out of the CAF Confederation Cup. Despite the lack of football activities in the country, the Porcupine Warriors took the decision to go to Africa with all competitions suspended after the Anas expose in June. The reigning MTN FA Cup champions managed to reach the group stage for the first time in 11 years, however, failed to qualify for the quarter-finals after losing their final group game 2-1 to Zesco United on Sunday in Ndola. Kotoko who needed a win to qualify to the quarterfinals stage of the competition opened the scoring through Stephen Nkarko but surprisingly conceded two goals in two minutes to lose the match. "I don't think that [no football in the country] is the cause[for Kotoko's exit]," Akonnor told the press in Zambia. "We didn't just do well. In the last game[against Hilal] we didn't perform too well and today Zesco were a bit more aggressive, especially in the second half." “I thought after getting the first goal, my players would be encouraged to play very well but a little bit of unintelligence killed us, ”Akonnor added. Kotoko finished third in Group C behind Al Hilal and Nkana who made it to the next stage of the competition.